Here is a long list of resources that I find helpful in my research. These are my general research resources. I have my state and country specific resources saved on Pinterest here. 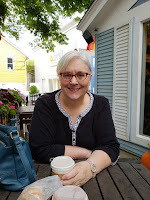 I have to give a shout out to two people: 1) Cyndi of Cyndi's List who is the original creator of a research toolbox, if you can't find it on Cyndi's List, it doesn't exist! and 2) Thomas MacEntee, who has to be one of the most helpful and selfless people I know. He shares freely and I used his research toolbox as a starting list and then tweaked it to make it my own. Thank you both for all that you do to promote excellent genealogical education and resources.